Struggling to find an easy way to package and ship your products? 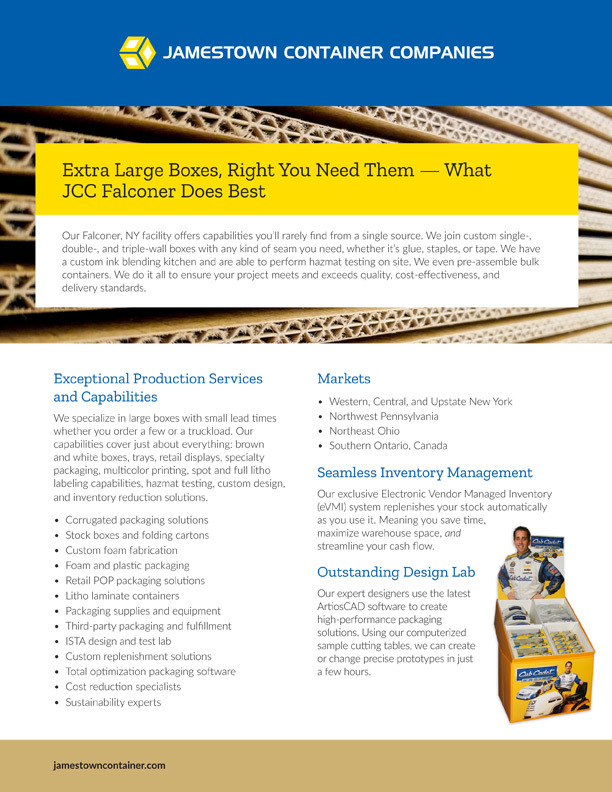 Jamestown Container’s Falconer, NY corrugated packaging facility can help you build the perfect package. 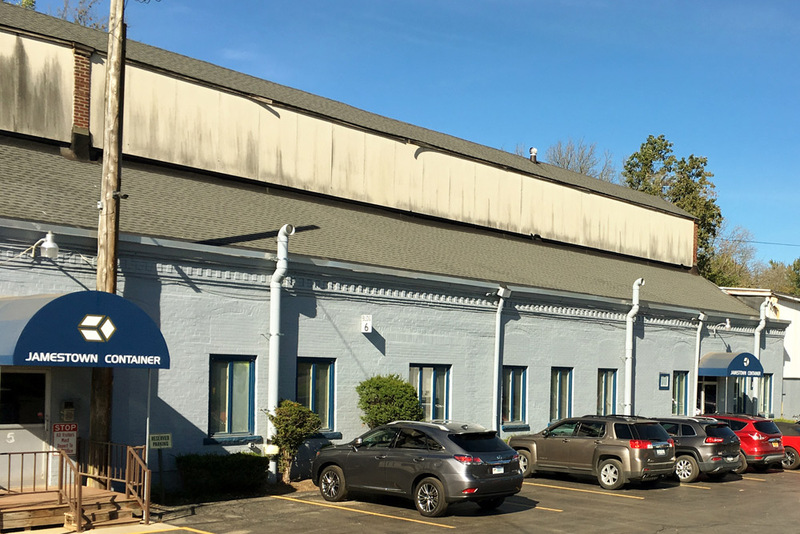 Our Falconer corrugated packaging facility still operates as the headquarters for our organization. Our experienced packaging team understands what it takes to build the best packaging solution for your business. Your packaging is a direct reflection of your business, so it’s important that it’s well built and on brand — whether it’s heading to warehouse shelves, your customer’s front porch, or the aisle of a retail store. At Jamestown Container Companies, everything we do is designed around building the best solution for your business. Like the rest of our locations, our Falconer corrugated packaging facility continuously strives to provide innovative, effective, and sustainable packaging solutions. With our industry recognized designers, knowledgeable service providers, and experienced production staff, our team is sure to provide the best solution for your packaging needs. We’ll ensure that your order is delivered on time so you can trust that you’re going to get excellent service and expert advice. At Jamestown Container Companies, each of our facilities has a specialty, but also has the ability to serve every area we touch. Looking for reliable shipping? We’ll make sure the shipping process for your order is always efficient, accurate, and timely. As a custom designed corrugated box manufacturer, Jamestown Container can supply all of your packaging needs from stock boxes to custom packaging tailored to your brand. Our exceptional quality, customer service, and dedication to sustainability is everything you need to stay competitive in today’s market. Our strong network of facilities work together to provide prompt and efficient turnaround times for all of our products. Need an order quickly? We can help.